Bem... Começando pelo início... Para quem não conhece, a Kawaii Box é uma caixa de goodies de subscrição mensal e traz sempre montes de coisinhas adoráveis. Existem 3 modalidades de encomenda: Encomenda única mensal; Encomenda de 6 meses e Encomenda de 12 meses. Quantos mais meses forem comprados em conjunto, mais desconto existe no preço final de cada caixa. Well...Starting from the beginning...For those that don't know, Kawaii Box is a box of monthly subscription goodies and it always brings a lot of adorable stuff. There are 3 types of delivery: Single monthly delivery; 6 month delivery and 12 month delivery. 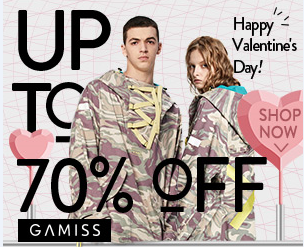 The more months you purchase together, the more discount there is in the final price of each box. 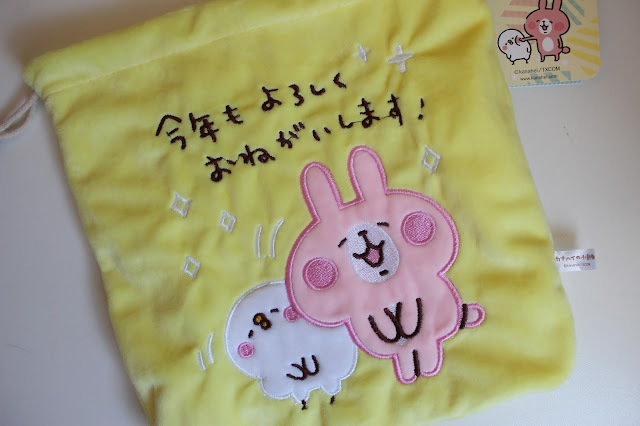 Esta bolsa de feltro mega fofinha, de , vai dar imenso jeito para todas as coisas que eu tenho para guardar. Ela é muito macia e tem um cordel para fechar, na parte de cima. This felt bag is mega fluffy, it will come in handy for everything that I have to pack up. It's very soft and has a drawstring to close at the top. Que delícia! Já olharam bem para este peluche? Eu estou completamente derretida com ele. É rosa e tem um lacinho, é super adorável e eu adorava ter a colecção toda e encher o meu quarto de fofura! How adorable! Have you taken a good look at this plushie? I'm completely melted because of it. 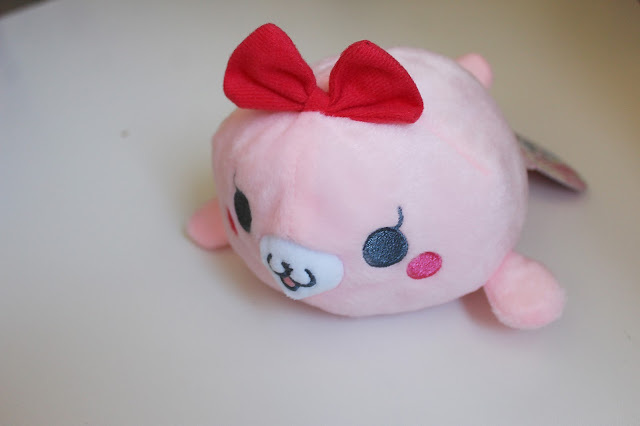 It's pink and has a bow, it's super adorable and I'd love to have the entire collection to fill my bedroom with cuteness! Achei imensa piada a esta caneta! Super fofinha e o par perfeito para o bloco de notas que vos vou mostrar a seguir. Só tive pena que esta caneta estivesse danificada na parte lateral, no entanto, nós sabemos bem que às vezes existem problemas de produção e 1 em 10.000 produtos podem sair assim. 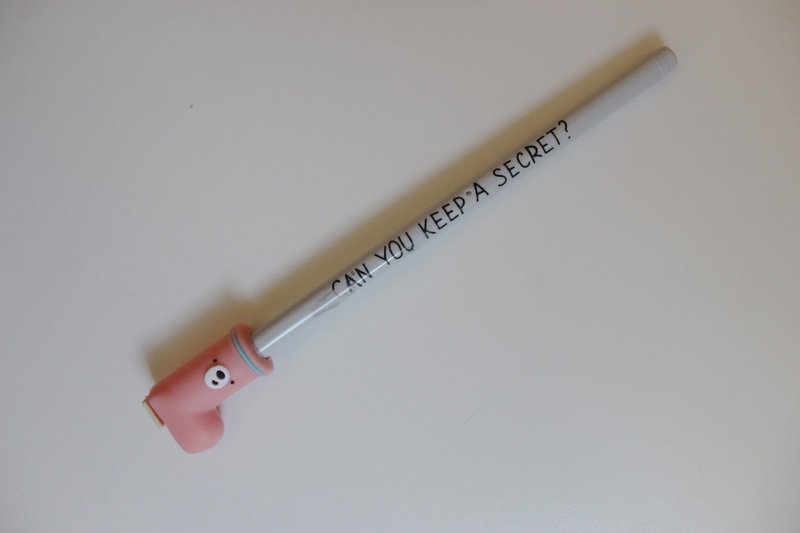 I really liked this pen! 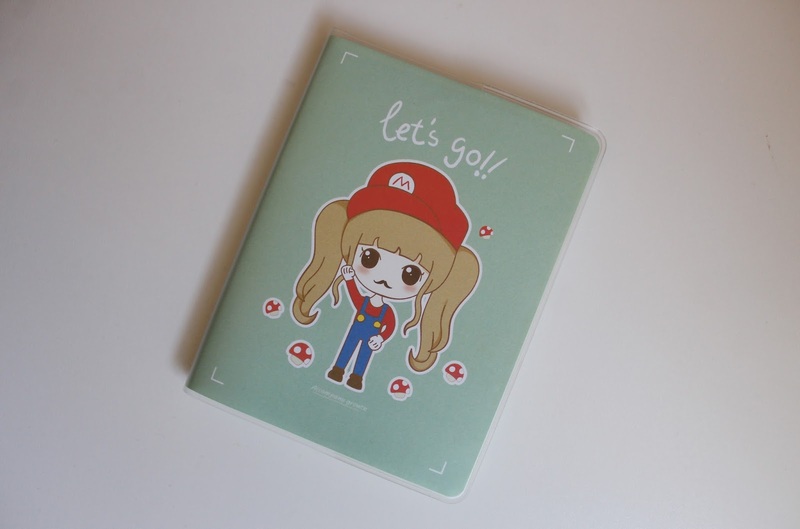 Super cute and the perfect match for the notepad that I'm going to show you next. It's a shame that the pen is a bit damaged on the side, however, we know that sometimes there are production issues and 1 in 10,000 can come out like this. 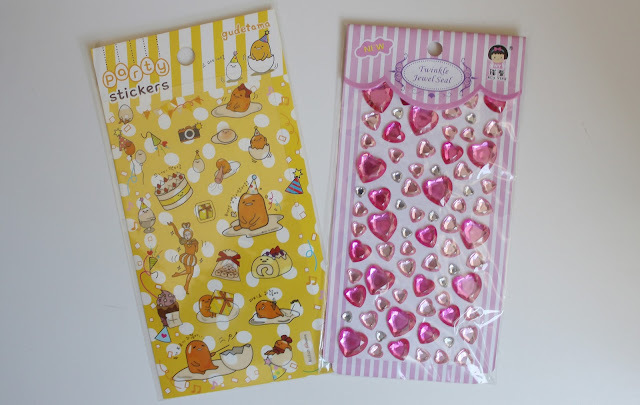 Para mim, stickers são um must-have! Costumo usá-los nas agendas ou nas notinhas que envio com as encomendas da loja Kawaii Crafts ou com os prémios dos giveaways! Já viram estes stickers fofinhos de Gudetama? To me, stickers are a must have! 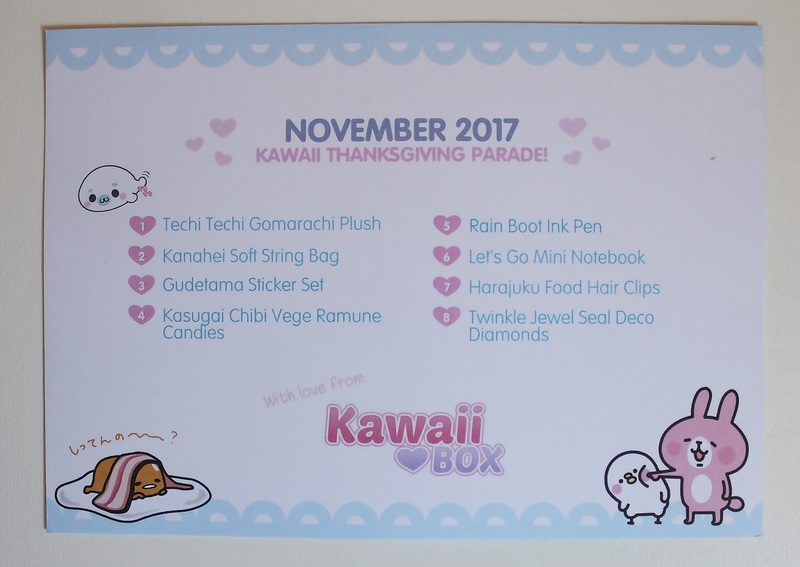 I often use them in agendas or notes that I send with the parcels from the Kawaii Crafts store, or with the prizes of the giveaways! Have you seen the cute Gudetama stickers? Na box vieram 3 molinhas super úteis e kawaiis, que eu adorei. Estas molas podem ser usadas para prender fotografias em cordas ou juntar papéis. In the box came 3 super useful and kawaii clips that I loved! 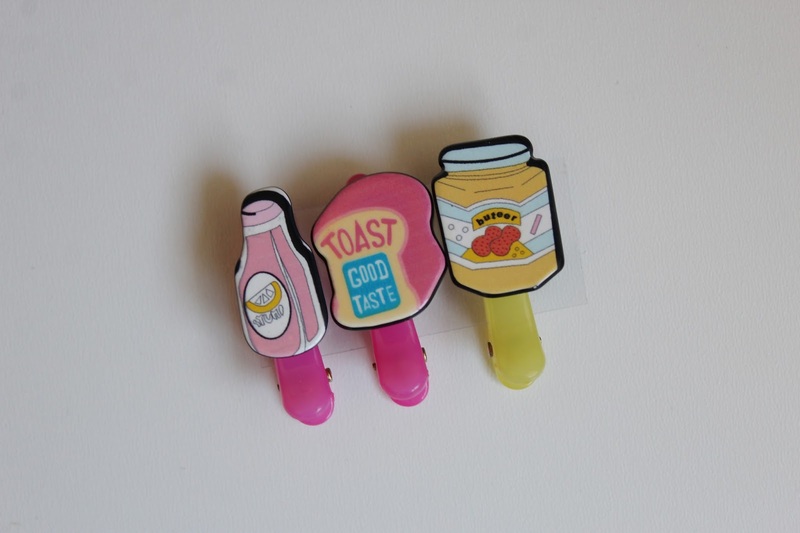 These clips can be used to attach photographs to strings or to join papers. Por fim, mas não menos importante, recebi também estes rebuçados que ainda não tive oportunidade de provar. 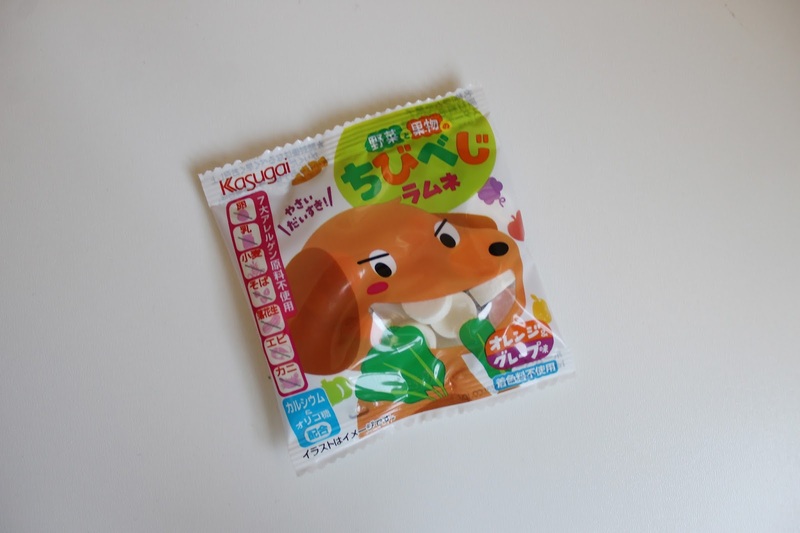 Last but not least, I also received these sweets that I still haven't had the opportunity to try. Na minha opinião, esta foi a box mais fofinha que já recebi. Tudo parece escolhido a dedo e tudo tem utilidade, é fantástico! Acho que o artigo que realmente me vai dar mais jeito é o bloco de notas, mas, tal como podem ver, todos os outros são completamente irresistíveis! In my opinion, this box was the cutest I ever received. Everything seems hand picked and everything has utility, it's fantastic! I think the item that will really help me the most is the notepad, but as you can see, everything else is simply irresistible! Agora vem a parte divertida! Querem ganhar uma Kawaii Box só para vocês? Sim? Então estão cheios de sorte! Vamos ter giveaway! ❤ Para se habilitarem a ganhar uma box destas, basta seguirem os passos que estão no formulário abaixo. Now comes the fun part! 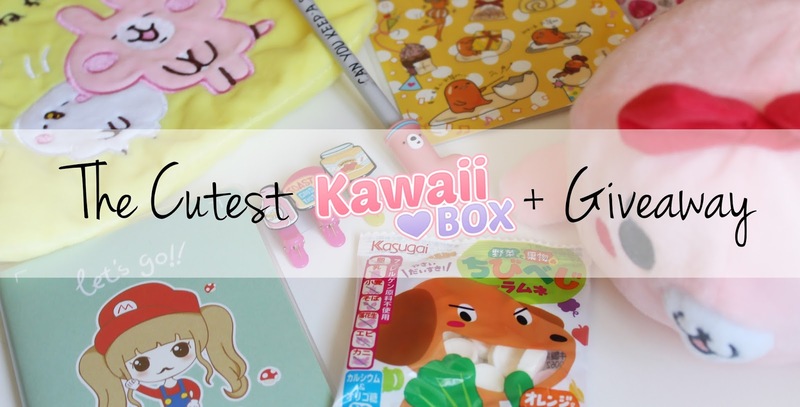 Do you want to win a Kawaii Box just for you? Yes? Then you're in luck! We're having a giveaway! ❤ To win a box like this, just follow the steps that are in the form below. 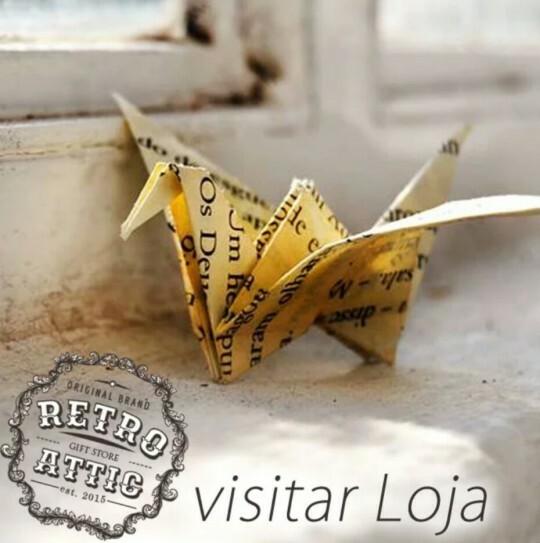 O giveaway é válido para todo o mundo e o envio da box é da responsabilidade da marca. 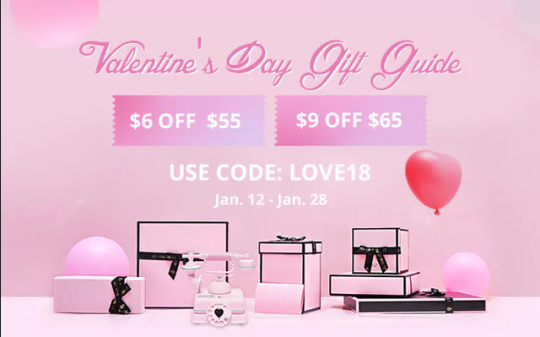 The giveaway is valid for the whole world and sending the box is the brand's responsibility. A participar! As coisas são todas tão queridas! 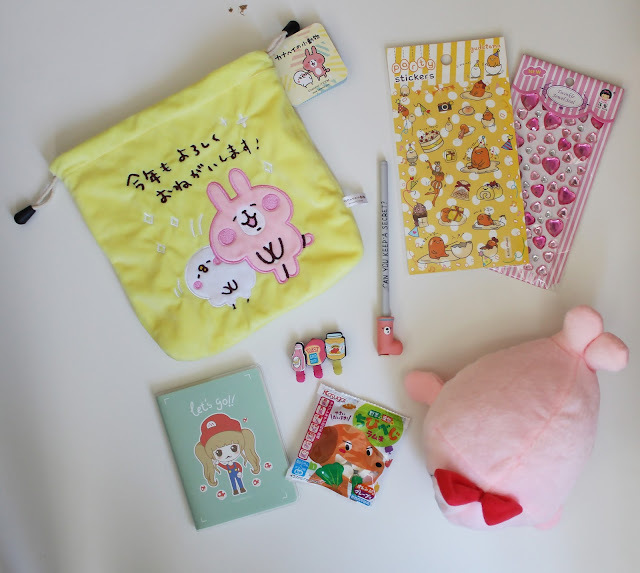 So many cute things!!!! I haven't got this box in a bunch of time, but I'm thinking to try it again :p Too many cute thiiiiings!!! !